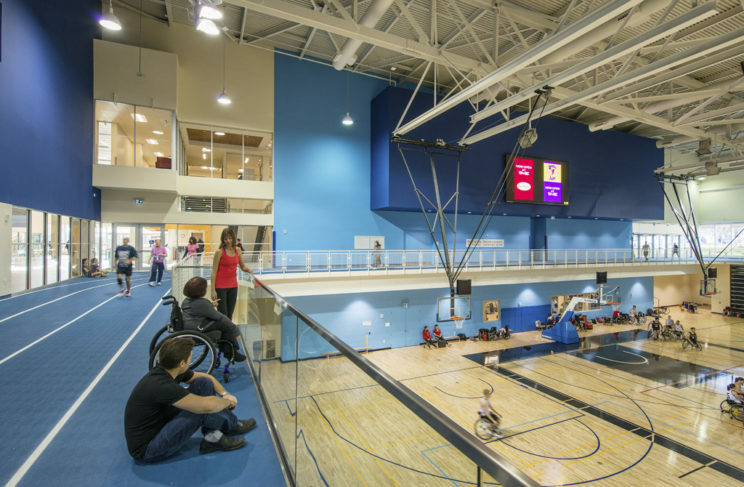 Human Space* was a member of the Planning, Design and Compliance (PDC) team and provided accessibility consulting for four major athletic venues of Ontario’s 2015 Pan Am/Parapan Am Games. Jointly owned and operated by the University of Toronto and the City of Toronto, this facility houses an aquatics centre and field house capable of hosting world-class sporting events. The inclusion of universal design principles enables all members of the community and the university to use the space. 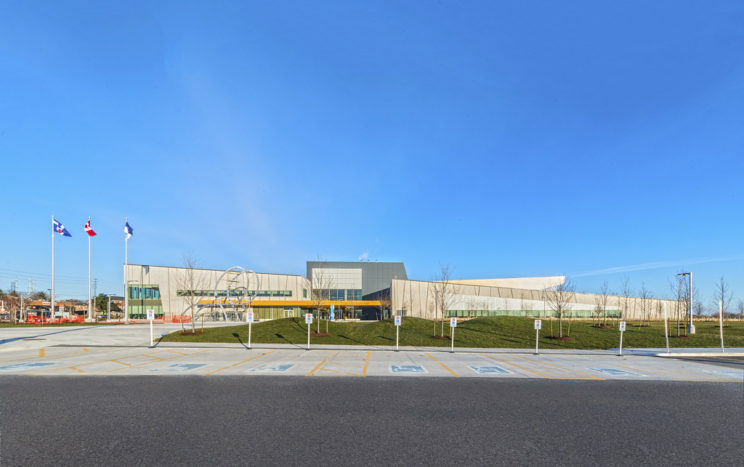 The Pan Am/Parapan Am Sports Centre is a high-performance facility that includes two 50 m pools, a 5 m deep dive tank with platforms, a field house that features flexible gymnasium space for training and competition, a walking track and a fitness centre. Human Space worked closely with municipal stakeholders to implement the distinct goals and needs of each community hosting a Pan Am/Parapan Am Games facility, working with their Accessibility Advisory Councils. As such, Human Space developed accessible design parameters for each venue’s project-specific Output Specifications (OS). Collaboration with each building’s project architects provided spectators and end users of varying abilities a legacy of universal design during and after the games. 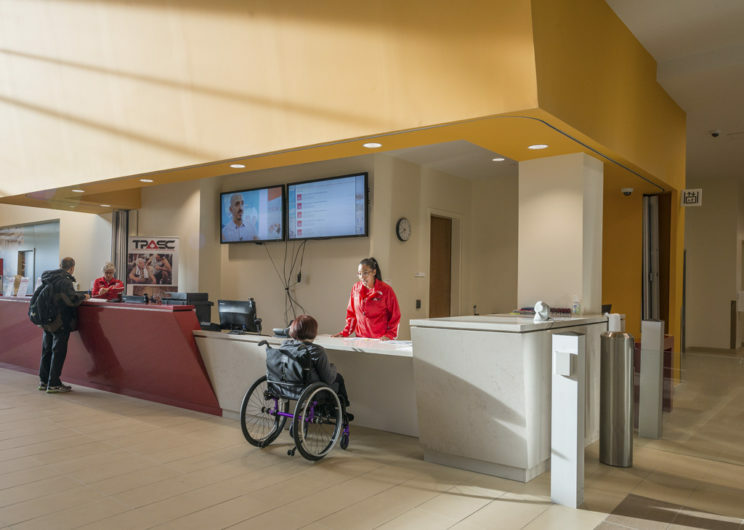 Human Space raised each venue’s level of accessibility beyond current Codes and Standards in Canada, garnering praise for all four sites as world-class leaders in the realm of accessible design. One of many facilities built for the 2015 Toronto Pan Am/Parapan Am Games, this world class sports centre still serves the community in Scarborough. 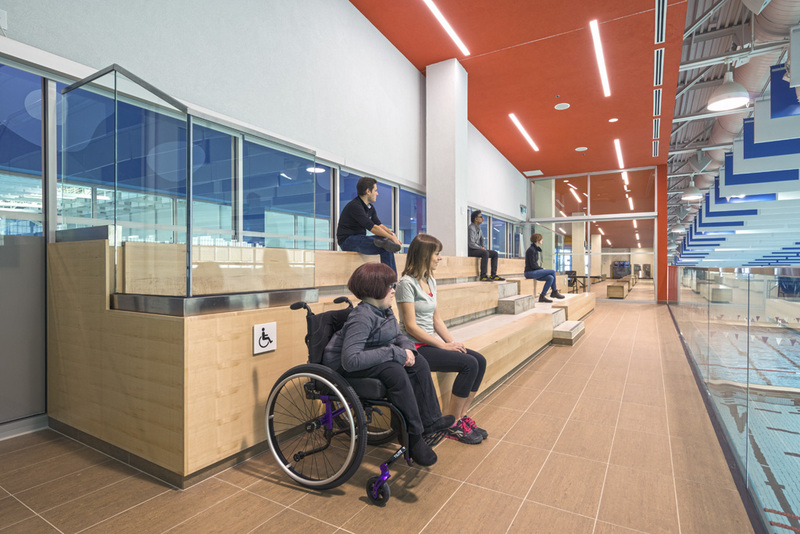 By designing for ease of use, facilities are made accessible and functional. Simple and intuitive design creates inherently inclusive spaces. Bright lights and high contrast colours bolster perception for a highly visible and comprehensive user experience. Viewing galleries integrate accessible seating and routes that provide manoeuvring space.